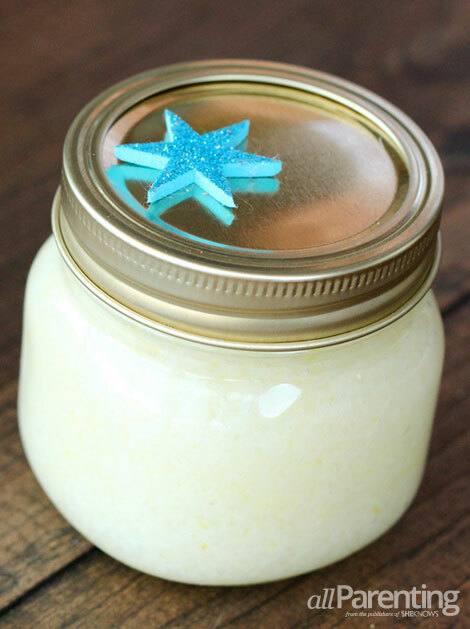 Create a simple and thoughtful gift with step-by-step instructions to make a vanilla lemon salt scrub with natural ingredients. Give your friends and family homemade salt scrub that transforms any shower into a sensory experience. 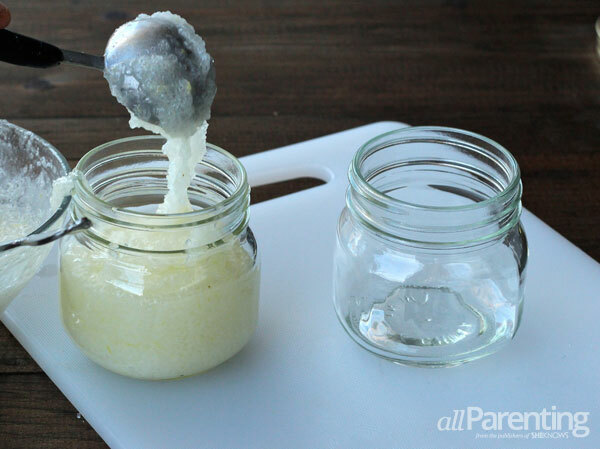 Using easy-to-find ingredients, create a natural, moisturizing scrub that makes a perfect gift. 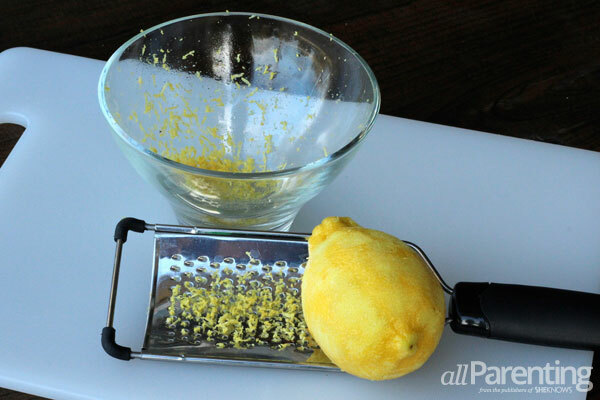 For this easy one-bowl recipe, begin by zesting the lemon into the mixing bowl. Thoroughly zest the entire rind. Then cut the lemon in half and juice it into the bowl, being careful to remove seeds. Gently spoon 3/4 cup of coconut oil into the bowl. If your coconut oil isn’t soft, you may need to warm the jar briefly under hot water until it softens enough to scoop. Add 1/2 teaspoon of vanilla extract. Your mixture should be gooey. 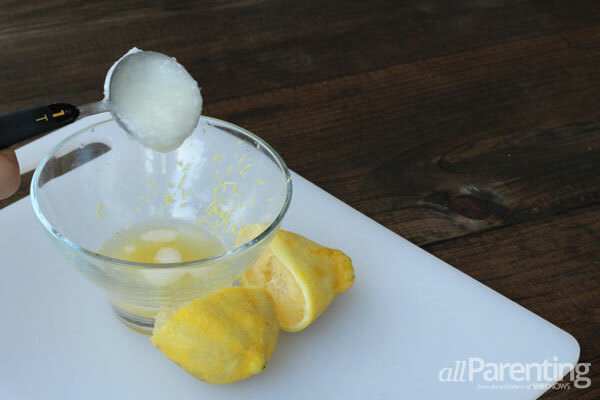 Stir 1-1/2 cups of Epsom salts into the coconut, lemon and vanilla mixture. If you prefer a fine grain scrub, you can grind your Epsom salts in a coffee grinder before adding to the mixture. Stir vigorously. The consistently should be thick with a gentle lemon and vanilla scent. Spoon the mixture into each Mason jar. 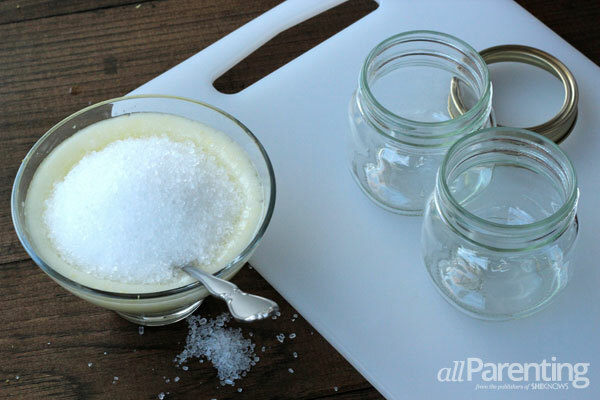 If you have extra room, add a few more small spoonfuls of salt until the jar is full. Stir and cap the jar. 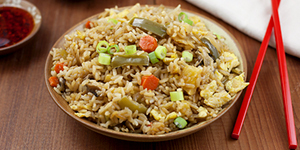 Keep in the fridge to preserve. To decorate your jar, try adding stickers, ribbon or decoupage to the lid. 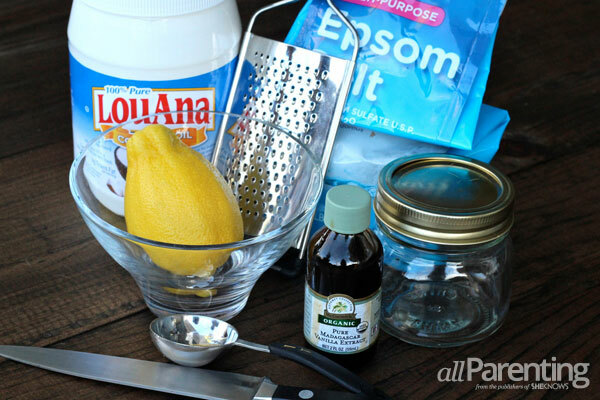 Use about a half teaspoon in the shower to exfoliate and moisturize.